SCOPE: This position is responsible for the enforcement of animal control ordinances. • Receives complaints from rural county residents. • Captures and transports stray, suspected rabid, and injured animals. • Captures and manages aggressive animals. • Delivers animals to contracted veterinarians. • Investigates bite reports; ensures animal is secured in quarantine. • Investigates cruelty or neglect complaints. • Maintains current and accurate documentation of completed work on appropriate forms. 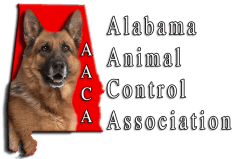 • Assists county law enforcement with animal related cases. • Keeps immediate supervisor and designated others fully and accurately informed concerning work progress, including present and potential work problems and suggestions for new or improved ways of addressing such problems. • Knowledge of local ordinances, laws and regulations governing domestic animals. • Knowledge of animal behavior and animal control tools, techniques, and procedures. • Knowledge of infectious disease characteristics and control. • Knowledge of county and department regulations, policies and procedures. • Knowledge of county geography and roads. • Knowledge of the chemicals used in the disinfection of animal kennels. • Knowledge of traffic hazards, safety principles, rules, regulations and speed limits. • Skill in the trapping and transportation of animals. An employee in this position is subject to random drug/alcohol testing. 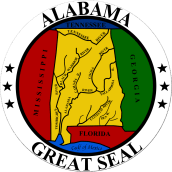 Applicants should apply at the Alabama State Employment Office or the Lee County Commission Office Monday through Friday, between the hours of 8:30 AM and 4:30 PM. Previous applicants should reapply.